EC Montreal Students Can Experience “Tour La Nuit” Coming June 1st! In the Spring and Summer at EC Montreal, a lot of students love to go out and enjoy some fresh air and experience our beautiful city views – and what better way to do this than with the activity of bicycle riding around town! Montreal is an incredibly bicycle friendly city! 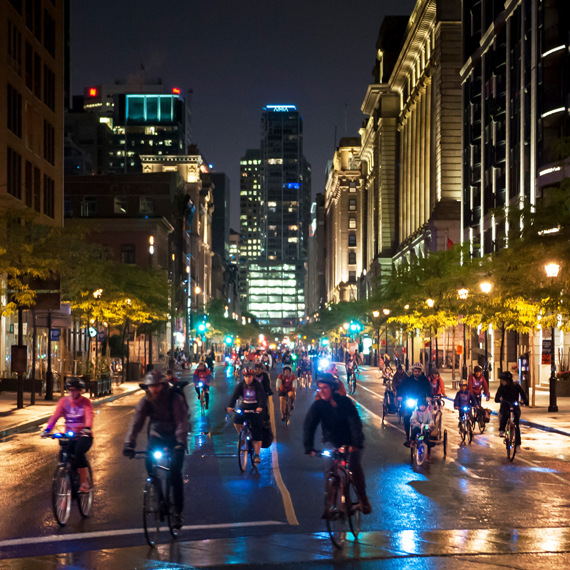 Coming very soon in a couple of weeks, on June 1st, Montreal will open “Tour La Nuit”- a one night only bicycle ride around the city. People can register on their website, which includes early bird registration before May 29, here. and participants get a fun BBQ meal at Jeanne-Mance Park right before the ride starting at 5 pm. Students can also volunteer for for the day. The city of Montreal is looking for volunteers to help out during this event. Any students who want to feel like part of the Montreal community and want something exciting to put on their resume can sign up! There is information on the volunteer board at EC Montreal. Participants will also be given night lights for their bicycles. People can either rent or bring their own bike! Join our ESL course in Montreal and check out our bicycle friendly city!